MORLEY MAGIC. 40 PREVIOUSLY UNPUBLISHED SOLOS. WITH ACCOMPANIMENTS AND ADVICE ON HOW TO PLAY THE SOLOS. 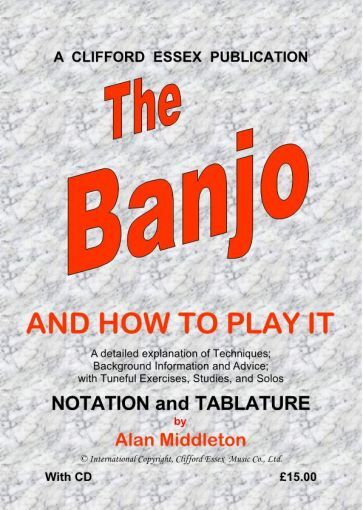 HOW TO EXCEL ON THE BANJO. THE FRETTED INSTRUMENT PLAYER'S DICTIONARY OF MUSIC TERMS. Compiled by A. P. Sharpe. Edited by Clem Vickery. (Editor of BMG). THE CLASSICAL GUITAR AND HOW TO PLAY IT BY ALONSO MEDIO. AN ALBUM OF SELECTED SOLOS FROM THE MUSIC OF EMILE GRIMSHAW. COMPLETE WITH CD.